This essential golf kit is all you will need during your next golf outing to have the perfect day on the course! 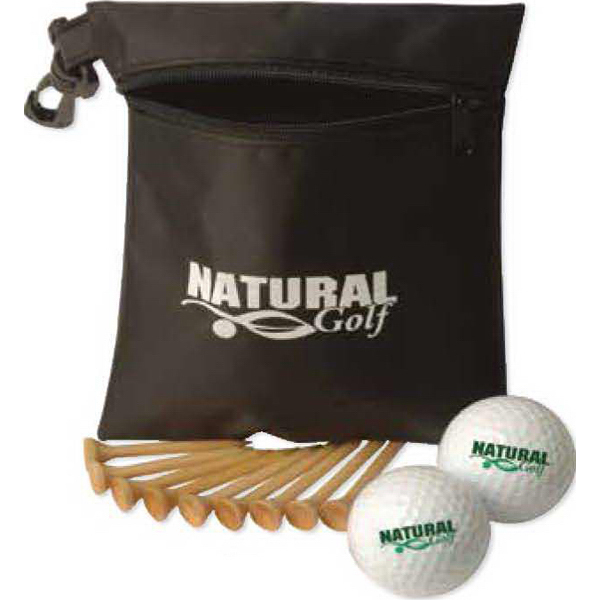 Our handy bag comes with 2 golf balls and nine 2 1/8″ golf tees! Includes 2 Authoritee (TM) balls, as well as multiple color choices for the tees and balls. Customize all items with an imprint of your brand name and logo – makes a great prize for golf tournaments, fundraisers and fans of the game!